Here’s an article, written by Hikmat Zakaria, a Malaysian student who is currently on the YES Program. She was recently awarded the “100 hours community service award” and also “Public Achievement Leadership award”. Congratulations! 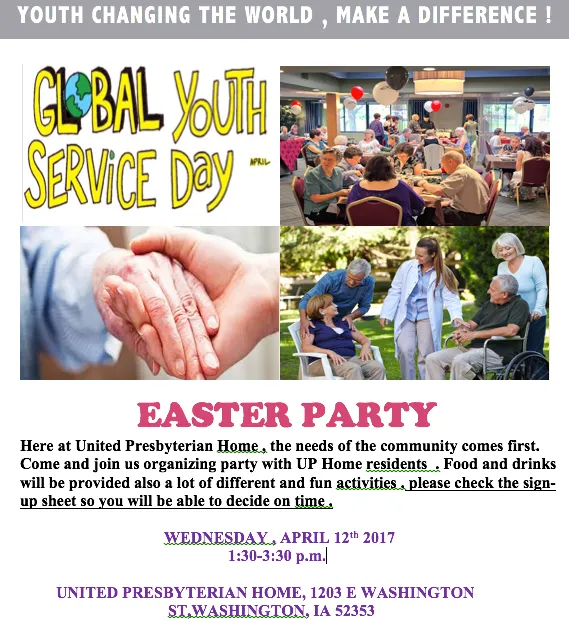 I organised a party at a nursing home with the conjunction of the global youth service day on April 12. We celebrated Easter at United Presbyterian Home located in Iowa, at least 100 elderlies live there. On the day I had the idea, I decided to meet my school’s principal and talk about this project. I have set up an appointment with him during our 4th block of school and I told him about my mission to held this event I also told him that I need some volunteers from my school to help me out. I created a brochure for the students and paste it all over the school area including classrooms, school’s concession, library, office and guidance office. I also created a signup sheet at the school’s website and snap chat group for the students at the school who are interested in joining us to organise this party. I also went to other classes to promote about my GYSD project. On April 12, I organise the Easter Party and 25 students from my school showed up to help me for this project. 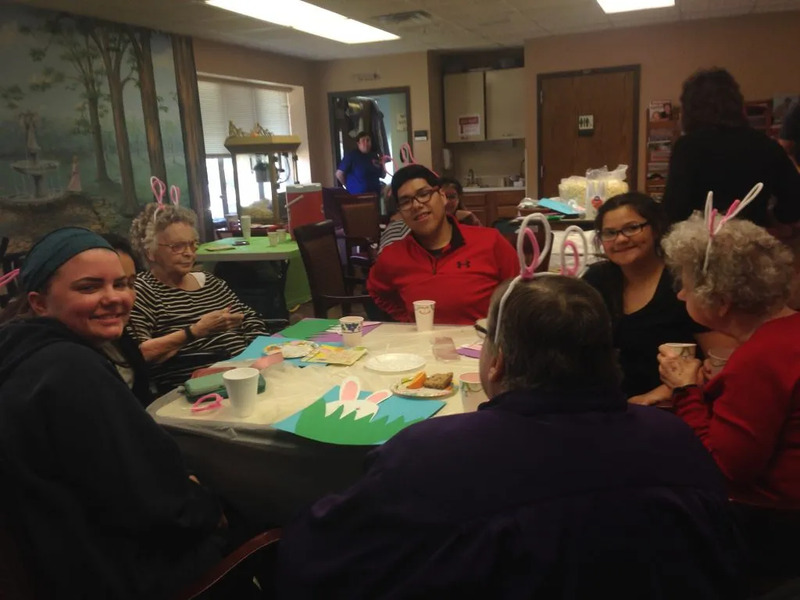 About 30 residents came and celebrated Easter with us. Upon our arrival at 1:30 pm, I give a short speech to all the volunteers about pros and cons and give them instruction on what to do and give them a schedule and list-to-do on that day. Then, we started to introduce ourselves as ice breaking. We also had a culture sharing session. Some volunteer helped me to serve the food such as chocolate chips and Easter eggs, frosting cookies that I baked a night before the event. 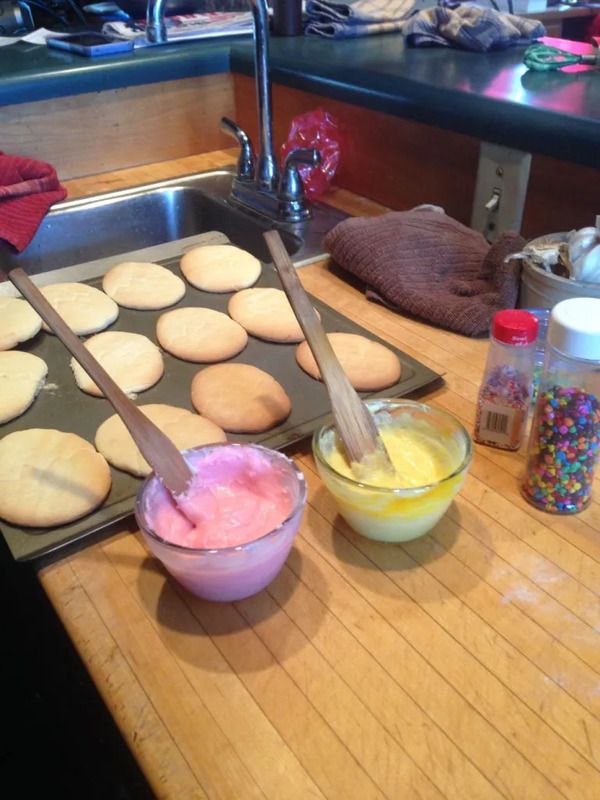 I baked 50 cookies per flavour and I bought some fruits for them. 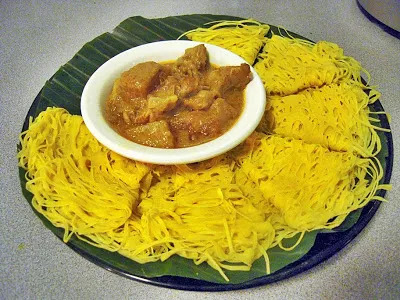 I also cooked a dish from my home country, which is called “roti jala”. They all enjoy it very much and some of them were asking me about the recipe. After that, we proceed our ceremony with bunny-ears halo making which we made it with straws and do artworks such as decorate the bunny house, connect the dots ( Easter bunny design) and also painting the pot. We plant very beautiful Iris flowers and in the pots and give it out as gifts. We ended our event with hand-print poster special for Global Youth Service Day and the volunteers help us to clean up the room. As a volunteer, I cherished this opportunity that I get to spend time with them and this make me appreciate my own grandparents more. I sincerely hope the visit made them feel loved and appreciated. Even though it was just one day, I hope it made a huge impact for the volunteers and the elderlies. This is the start of my effort to give back to the community and I hope there are more opportunities like this in the future. At the end of the day, visiting these elderlies was an eye opener, where I begin to see how such environment for them living here is making them insecure and fear which makes them uncomfortable and restless. Our presence there brings them some little hope and smile in their faces delighted my heart. I hope our visit to their home has brought some love and care. We hope to go back and pay these elders a visit just to ensure they are good and happy. This is only the beginning and I hope to make a change and give more impact towards the community. 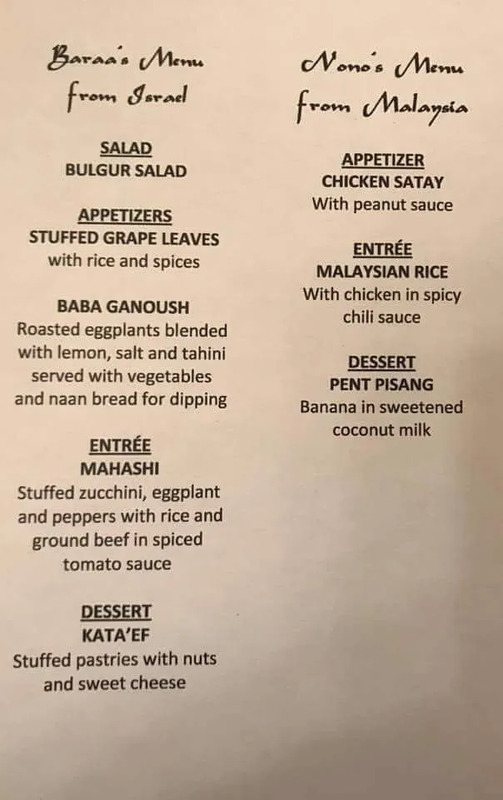 For my second project, I organised a cultural night at a restaurant to fundraise for Syrian Refugee. 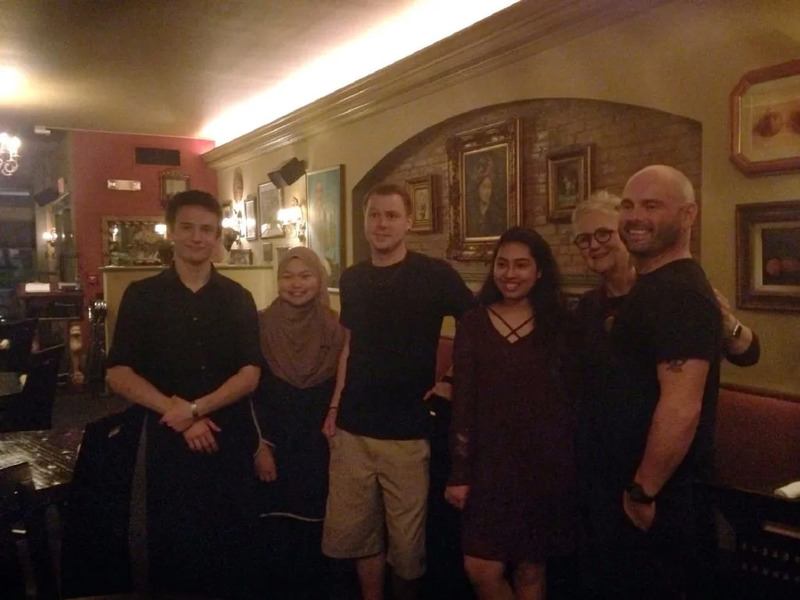 On April 19, I organised a cultural sharing night dinner at one of the most famous Italian restaurants in Washington, Iowa, Café Dodici. We were very grateful to have this one beautiful lady, that come and approached me to help for this GYSD project. She said she might help me to do the fundraising for the Syrian refugees in Des Moines. The main aim of this project is to create understanding between Muslim and non-Muslim and to prove every religion promote peace. All of the community in Washington are nice to me as they give their full commitment and they are very interested in my project. The restaurant owner and I created an event page 2 days before the event and we went together to the local radio station to tell them about our purpose and to promote this project too! They were all very happy to have the food and some of them even ask me to send the recipe of the dishes. I did Q&A session for people to ask me about my religion, Islam and also about my home country. I give all the customers magnet and keychain from my home country, Kelantan, Malaysia as we are very rich with art and craft. It makes me feel relief to see how people treat me very well and I am so happy as at least 4 of them invited me to join them for family and road trip. The result for this project is amazing! Within one night 50 people came and we manage to collect $500 and I am super excited and very happy that the amount is beyond my actual goal which is to collect only $200. I am contented to get all this project done and received positive feedback from the customers. I am so happy to help the Syrian refugees in Des Moines. This project also helps me know the community here better. Being a chef, musician, mini ambassador in one night is very challenging but I feel super excited that I can’t describe it with any word. This article was originally published in YES Alumni Malaysia website.